Learn more about the range of services offered by Nevcon Accounting. Nevcon Accounting works to meet the needs of small to medium-sized Canadian businesses in their daily and yearly accounting needs. Nevcon’s expertise in the following areas can benefit your business. Contact us today to assess your business requirements! Nevcon will help clients to evaluate and select a new computerized accounting program which best meets their needs. This service also helps in reducing the time to implement a new system, by ensuring that the proper steps are taken to switch to the new accounting software. Nevcon will also ensure that staff has the proper training to use the program before the system goes live and is available to staff after implementation for any questions. By using Nevcon’s experience in implementing new accounting systems, companies can ensure minimal disruption of of their business and operations during what could otherwise be a trying time. Nevcon will also support clients during the transition to a new system by offering assistance and advice. 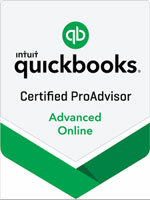 Nevcon offers support for both desktop and online versions of Quickbooks. Tsheets helps you keep track of your employee time. Nevcon can assist you in setting up this very useful application. Nevcon recommends Hubdoc for excellent electronic record keeping for all your financial documents. Take a look at our detailed recommendation/review here. Receiptbank extracts the key information from your bills, receipts and invoices, removing the need for manual data entry. Receipt Bank can then publish the data to your accounting software or it can be downloaded as a spreadsheet or used to create expense reports. Note: Nevcon is pleased to provide its clients with in-depth assistance with any of the above accounting software packages and systems. If you are not a Nevcon client and are seeking technical support on any of these products, we recommend that you refer to the software vendors’ Web sites, many of which provide online resources and knowledgebases, as well as support phone numbers and chat connections. Nevcon’s computerized accounting program setup services can be quoted for you on a project basis, or purchased on an hourly basis. Nevcon prepares financial statements for use in the preparation of corporate tax returns with client supplied information. These statements conform to generally accepted accounting practices for Canada. These statements are then used in the preparation of Canadian corporate tax returns. Nevcon can also prepare T4’s and any other annual filings required by the company. Nevcon can provide this service on a flat rate basis (with annual review) or on an hourly basis. Nevcon has extensive experience in non-profit accounting and is able to help in the setup and running of books for a variety of types of charitable organizations. Because of the nature of non-profits, Nevcon has a separate cost structure for its services to help such organizations meet their needs. To ease the administrative burden for business owners/managers, Nevcon will perform daily bookkeeping activities (including payroll) for clients. Nevcon will also produce monthly income statements, balance sheets and other required documentation, which will allow owners/managers more time to concentrate on running their businesses. Nevcon can provide this service on a flat monthly fee or on an hourly basis. Nevcon offers a personalized service for the preparation and filing of current year Canadian tax returns. The types of returns prepare are from simple ones (T4’s only) to complex returns that include capital gains, sole proprietor statements and so on. Nevcon can also assist with the preparation of delinquent tax returns, including discussions with the Canada Revenue Agency to minimize penalties owing. Use Nevcon’s online question-and-answer service for finance and tax questions. You can request one-on-one assistance via e-mail (questions@nevcon.com), or you can read questions and answers from others. Send your enquiries by e-mail to questions@nevcon.com. In your message, please indicate whether you want a one-on-one reply (answer is sent back to you only via e-mail), or if your question can be posted (suitably made anonymous) to our Financial Enquirer forum, so others can benefit from the information. Check the posted questions and answers, to see if your particular issue is already covered. As we caution throughout this Web site, all information provided on the Nevcon Web site is general in nature. (In some cases, details have been modified slightly to preserve confidentiality.) We do our utmost to ensure the accuracy, completeness and timeliness of all information provided here. However, no one should act upon this information without appropriate professional advice. We would be pleased to consult with you and thoroughly examine the specific details of your particular request, requirement or situation. We regret that we cannot provide assistance with academic assignments.